Ministry of HRD has advised Canara Bank to open the Interest Subsidy portal from 1st September 2018 to 28th September 2016 for primary claims of Interest Subsidy on Education Loan for Financial Year 2017-18. As per guidelines, the Branch Managers have to identify the eligible student borrowers and submit the claim for interest subsidy for FY 2017-18 through Canara Bank portal. In the past, many branch managers did not claim the subsidy for eligible students. Because of this, many eligible students did not get the subsidy from the Government. 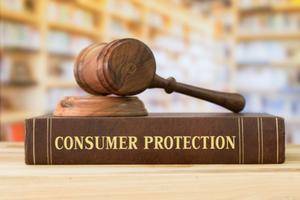 In those cases where the Banks had failed, ELTF has advised the aggrieved students to file a petition with 'District Consumer Forum' claiming damages and compensation from the Banks. In view of this, eligible students may submit a letter to the Branch Managers under copy to the respective Regional Managers, requesting them to claim the interest subsidy from the Government for FY 2017-18. If the Bank does not submit the claim within the period, the students will not get any subsidy. Though it is the responsibility of the Branch managers to submit the claim, in their own interest, students are advised to ensure that the branches submit the claim within the stipulated date. Students who have availed education loan under IBA scheme to pursue professional or technical courses are eligible for interest subsidy during the study period plus one year, if the parental income is less than 4.50 lakh per annum. Interest subsidy is eligible for students purusing higher education within India in the approved Institutions. ELTF does not entertain any direct contacts from the students and parents. If they want any further clarification on interest subsidy, they have to approach the managers only. If the Branch Managers do not respond properly or do not give proper information, the students can complain to the Regional Manager and also to the Chairman of the Bank in writing. ELTF does not deal with individual grievances. Students can also submit their complaints to Prime Ministers Office through the portal http://pgportal.gov.in. For any policy guidelines which are not available in the site www.eltf.in, the students can write to us at info@eltf.in. Education Loan Task Force (ELTF) has nominated Ms Kavipriya Anandan, a multi-faceted personality as ‘Goodwill Ambassador’ for the Academic Year 2018-19 to promote Education Loan Awareness, especially among the poor and financially needy students. Kavipriya is an Entrepreneur, Beauty Pageant Winner, Film Maker, Author, Classical Dancer, Communication Strategist, Motivational Speaker and Social Worker. She is also the Founder of the ‘Adding Smiles’ Group of companies. (www.addingsmiles.com). Although the Government of India has developed a student-friendly Education Loan Scheme with Interest Subsidy, to enable financially needy students to pursue higher education, the Scheme has not been gaining the required awareness among the students. As Goodwill Ambassador, Kavipriya will promote awareness about the Scheme through video presentations, events, posters and infographics among the students. 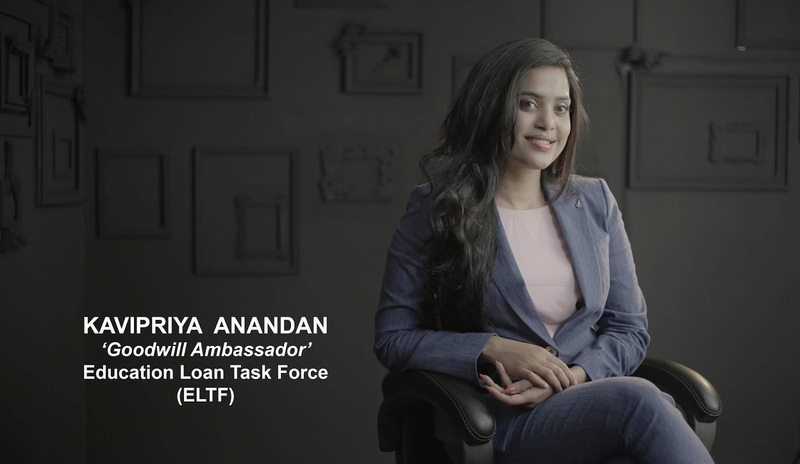 ELTF congratulates Kavipriya on her nomination as ‘Goodwill Ambassador’ for the academic year 2018-19 to promote Education Loan Awareness. Prime Point Srinivasan, Publisher & Mg. Editor of PreSense and Convenor of Education Loan Task Force presents a petition to Dr Veerappa Moily. Shri Rajeev Shankarrao Satav, Shri Bhartruhari Mahtab and Smt. Supriya Sule, Award winning Parliamentarians look on. ELTF has been receiving hundreds of mails from the students seeking our advice on the following two aspects. 2. Though the Government of India has promised 100% interest subsidy during the study period plus one year for eligible students, the Government has not settled full amount. To avoid repeating the same response, we want to give our views on the two major issues concerning the students. Government of India has introduced an Interest Subsidy Scheme since 2009, to provide 100% interest subsidy to the eligible students during the study period plus one year. Since many banks did not submit the claim to the Nodal Bank, with the initiative of ELTF, the Government allowed 'one time opening' of the portal in 2015 to enable the Banks to submit the past claims as one time measure. In spite of this permission, many banks failed to submit the pending claims in time. 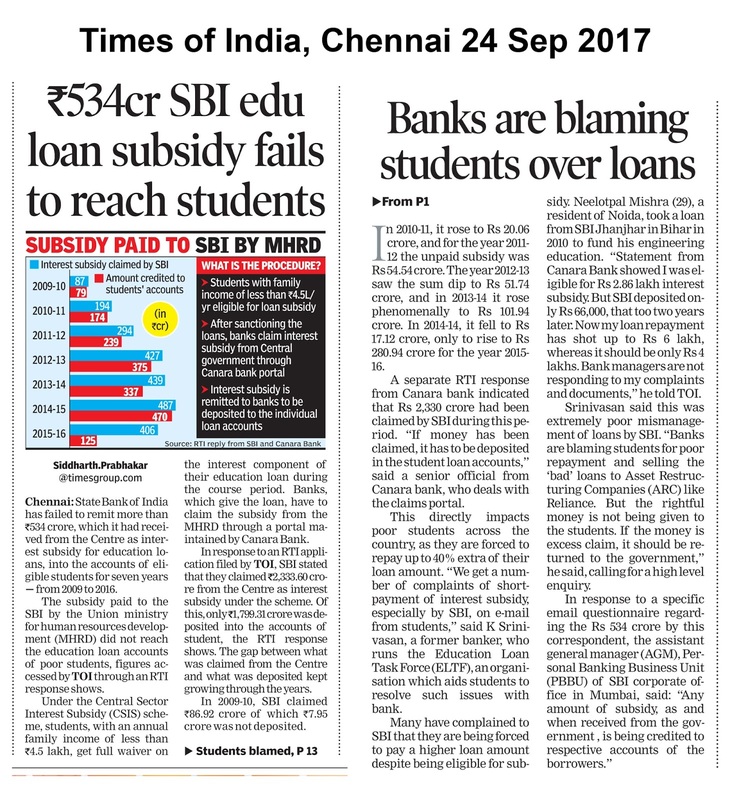 Due to the negligence of banks, the eligible students have been denied their eligible interest subsidy. ELTF also receives complaints that the Managers have not been creating awareness about the interest subsidy and not advised the students to submit the income certificate. It is the responsibility of the Bank to create awareness and file the claim for eligible students. In many other cases, though the Banks might have filed their claims in time, the Government has not settled 100% interest subsidy as promised by them. Only around 25% of subsidy is reimbursed by the Government. ELTF has taken up these issues in Parliament through supporting MPs and also directly with Hon'ble Prime Minister. We have given full details about Interest Subsidy Scheme in the following links. We also give the links of other official sites for more information. The eligible students may verify the status of their interest subsidy through the links given below. Now, no claim can be submitted upto FY 2016-17. If the Banks have failed to submit the claims fully or partially or failed to inform the students about the subsidy procedures, they can approach 'District Consumer Forum' and file a complaint against the Branch and the Managing Director of the Bank claiming damages and compensation. This is a simple and cost effective legal process. Students can visit District Consumer Forum personally and meet the officials and take guidance. Or they can approach their advocate. If the Government has not settled 100% subsidy, the students can file case against the Bank and Government of India in the High Court. They can also file a complaint against the Bank with the Banking Ombudsman. Not withstanding the deficiency of services by Banks or Government, students can not stop the repayment of the loan. As per IBA Scheme, repayment can be done in 180 months with telescopic repayment schedule. The students are advised to follow the repayment schedule and seek legal remedy for the interest subsidy problems. This is the mail sent to Central Vigilance commissioner, Delhi under copy to Ministry of Finance and Ministry of Human Resources Development. During the 7 years period between 2009 and 2016, State Bank of India has not credited Rs.534 crores of Education Loan Interest Subsidy received from Government of India, to the eligible student borrowers. They have denied legitimate subsidy to eligible poor students. It is also understood that SBI has not returned the amount to the Government also. If this happens at individual level, this will be called 'misappropriation' leading to criminal offense. 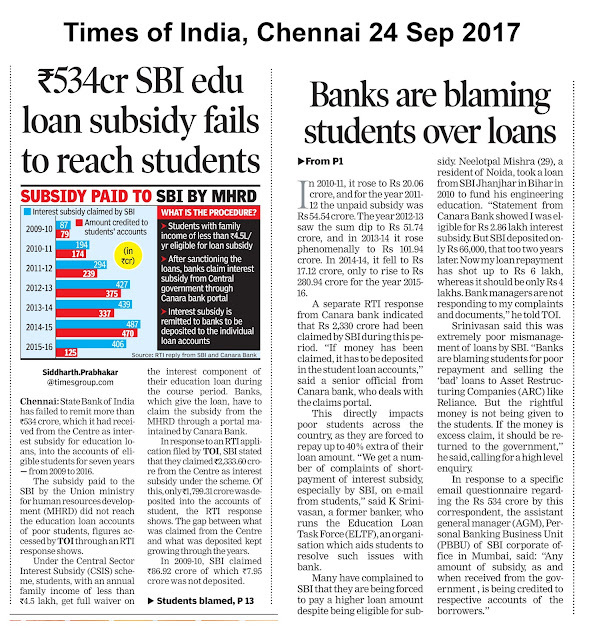 Times of India, Chennai edition has carried a front page story on 24th September 2017. We attach herewith the pdf version of the story. The story can be read in the following link also. 1. CBI enquiry may be ordered to investigate as to why State Bank of India did not credit the eligible subsidy to the borrowers over a period of 7 years and how the money was appropriated. The Senior Executives responsible for such lapses should be prosecuted for misappropriating the Subsidy amount. 2. Investigate all the Banks for such lapses to find out whether the entire subsidy amount received from the Government is credited to the beneficiaries.